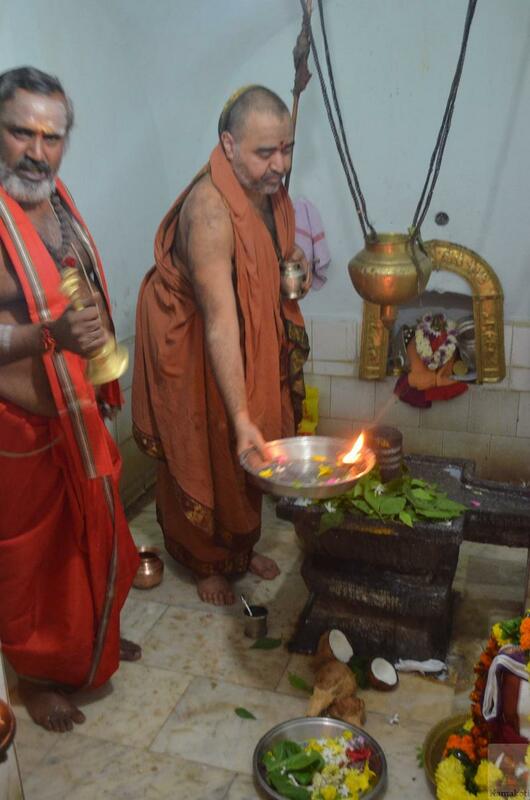 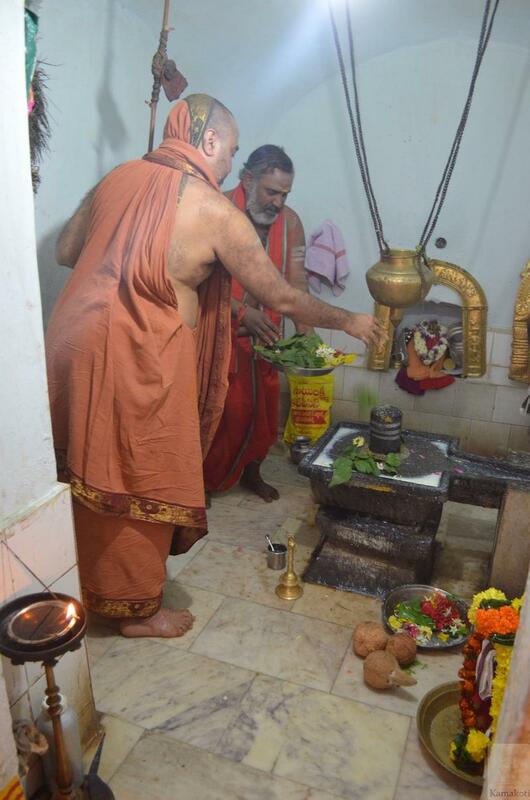 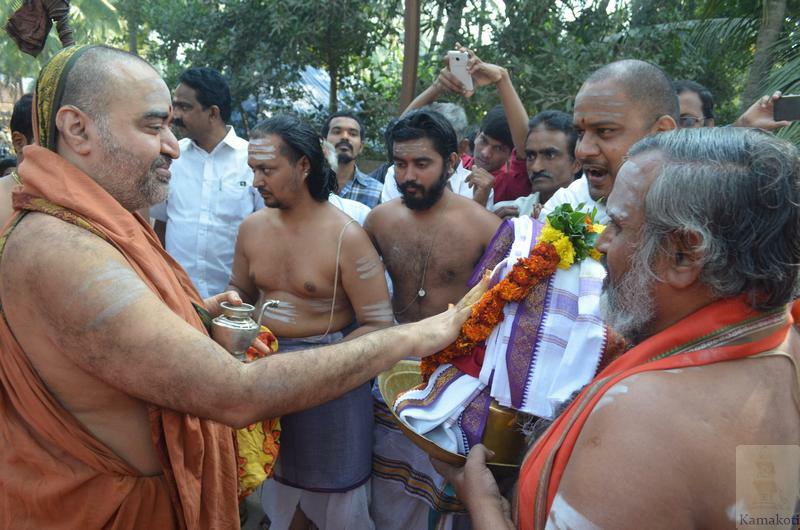 His Holiness Pujyashri Shankara Vijayendra Saraswathi Shankaracharya Swamigal during visit to Yanam for Godavari-Samudra Sangama Snanam on Amavasya day, visited Kolanka village. 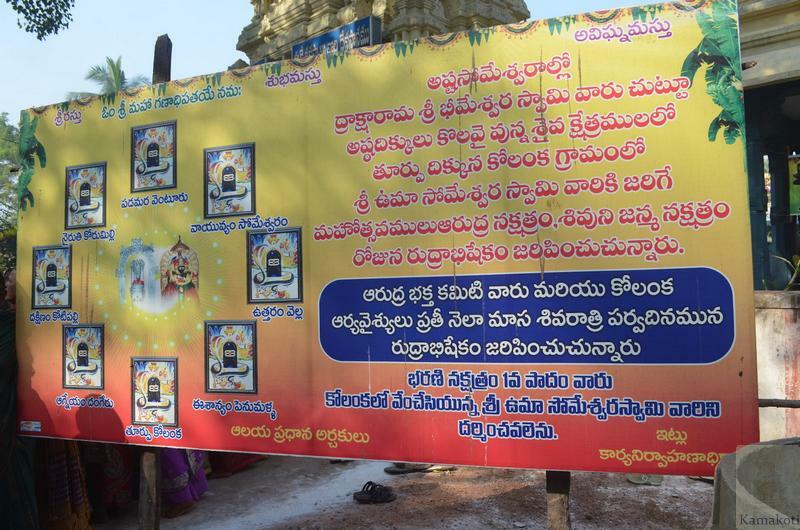 The village is located just 5kms from Yanam town. 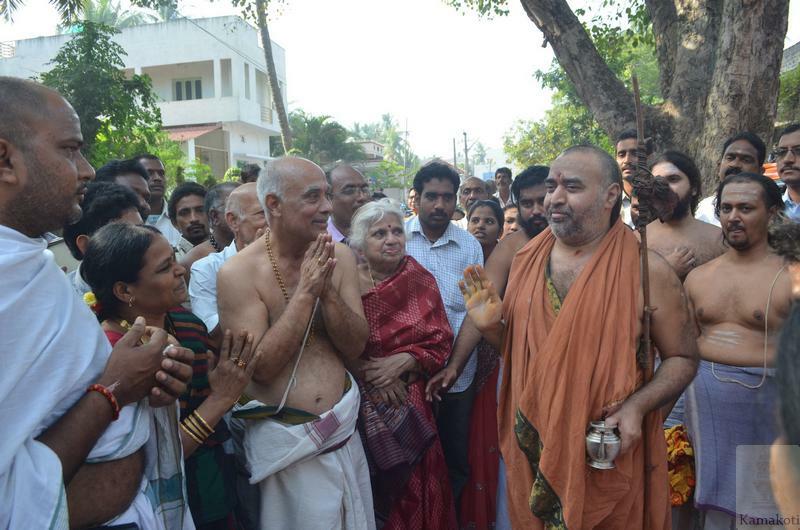 Villagers in large numbers led by Shri Pulugurtha Vyaghreshwara Sharma, enthusiastically received His Holiness to the Shiva temple in the village. 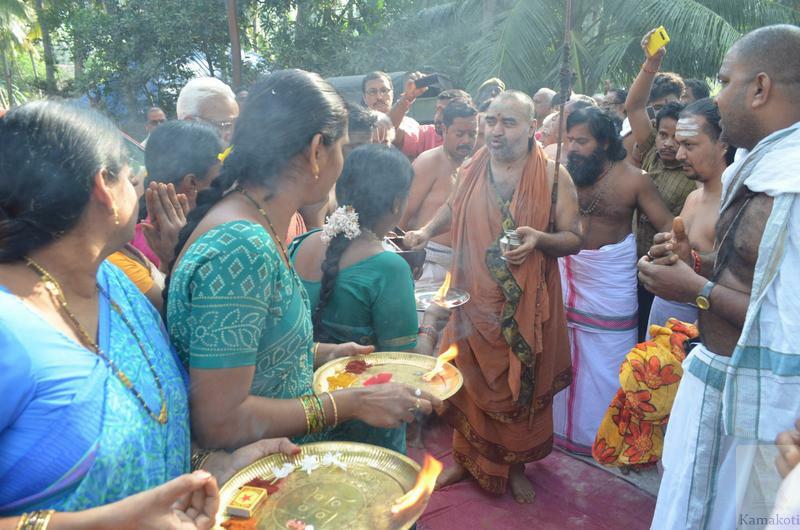 The elders in the village recalled Kanchi Paramacharya's visit to the village in late 1930s.